It's already a new week? One thing that flew past me in the craziness of last week was a mention of the new Contrast Podcast that I contributed to, where a bunch of us bloggers get together to virtually DJ a radio show. The theme last week was Who? and I finally contributed a most excellent Pearl Jam track ("Who You Are"). I held out on the PJ for a while but hey, what do you expect? This upcoming week Tim will be putting together Contrast Podcast #18 wherein all of us were supposed to submit an instrumental track and then SING OUR INTRO. I confess, I recorded one and then buckled. I listened to it, buckled, and didn't send it. I can sing, but geez that felt too vulnerable. I'll be interested to see who had the cajones to submit for this week's podcast. In the meantime, listen to last week's for some mind-expanding variety & good tunes. Swanky, bluesy, delicious. Danielia Cotton hit the music scene with a bang last year with her Small White Town debut album (HipShake Music). This is a raw, soulful, dust-on-the-front-porch album from Danielia, who alternately shares some of the growl of Joss Stone, the blues-rock of the Black Crowes, and the vocal chops of Janis Joplin. She combines her skills on the guitar with an appreciation of all the musical greats that came before her, and the result is fresh and highly recommended. Now despite the name, Sam Champion is a quartet from New York, not just one guy named Sam (they apparently named their band after a weatherman from a 1974 TV show). Thanks to my pal Chad for enthusiastically recommending this Ryan Adams-fronting-Pavement sound. He said I would be humming the main riff (from this track off their 2005 album Slow Rewind, Razor & Tie) and I have been all morning. A spirited alt-country shout-out chorus with handclaps & some fierce electric guitars; I like it. I am just rediscovering The Weakerthans; an old friend slipped me their Left and Leaving disc back in 2000, and I promptly lost it in a box of stuff when I was moving. I just found it this weekend and have been listening ever since, and catching up on what they've done since then. This track is off their 2003 follow-up to Left and Leaving, the weathered sounds of the Reconstruction Site album. If you've never heard these guys, give all their work a spin. They have a quirky blend of several influences, from country to punk to indie folksy -- all wrapped with bitingly intelligent lyrics. It's those lyrics that make me want to listen again and again. On this track, there's a simple line that nonetheless conveys perfectly a sense of unease: "I'm your dress near the back of your knees and your slip is showing." I swore I wrote something about Centro-Matic a few months ago when I discovered the loose & beautiful sound of these Texas indie-alt-rock-country guys. But I guess not, so now I get to recommend that you take a listen to their newest disc Fort Recovery (Misra Records) which has a melancholy sweet air permeating the whole thing. One reviewer wrote that it captures "that time just before the sun goes down when everything looks burnished and beautiful, but also a little sad" and I completely agree. This piano track also has a lazy touch of Jagger or Wayne Coyne on the vocals. 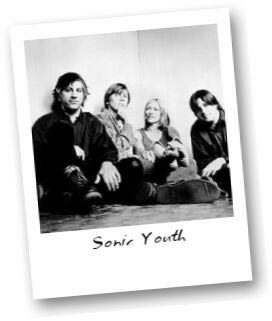 Sonic Youth. Covering Madonna. Seriously. 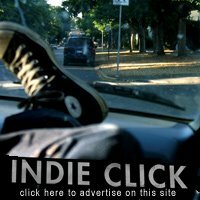 BONUS RECOMMENDED READING: I found that I could relate to about 20 things in this article by the Heather from Dooce, detailing her college years of loving '90s music and BritPop, studying abroad in London and going on an Oasis history hunt, and reflections on how (to her Mormon ears), "the heartbreak in Kurt Cobain's voice was to me what it would sound like to violate all the ten commandments at the same time." Sam Champion is still a weather man in New York City, ABC network. He's been around a long time but I don't know about the 1976 part because he is only about 45. Yeah for the Weakerthans! It's not too often you run into a band that writes good tunes and simultaneously namecheck Foucault and Derrida. Don't know if you're into the harder stuff, but it's worth checking out Samson's original band, Propagandhi, if you haven't already. Hi, I'm from Chile, South America. Thanks to your blog I found "Mercy Mercy Me" played by The Strokes and Eddie Vedder. It was great! I see that you also like Pearl Jam... That's great too. They came to Chile last november after 15 years waiting for them. I've heard you sing and you are wonderful! Well, now I'm gonna wonder who the mysterious reader is that's heard me sing! Random fact about the Sam Champion album - it was produced by Brian Rosenworcel of Guster. I love random facts. thanks. I love Centro-Matic, and I'm late getting ahold of Fort Recovery! Must get it now! Be sure to check out Centro-matic's website. Tons of free downloads. What a great band. i love anything madonna... shes the best baby.